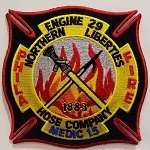 Nicetown Hose & Ladder LTD. Phila. "Pumper & Tower POWER"